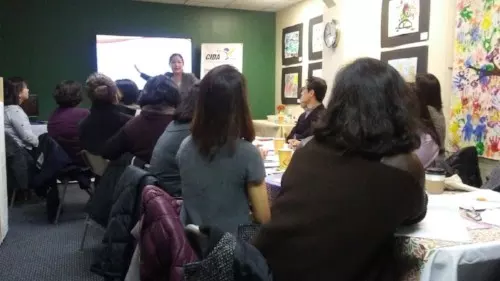 CIDA’s Latest Updates & Events! We have less than a month left until the end of 2017! It has been an unforgettable year for myself and the CIDA staff members. We are very thankful for the many incredible opportunities given to CIDA. For the 2018 year, our staff members are determined to work even harder, and are committed to achieving our goals of giving our children a better future and the inclusion of every person with disabilities in our community! We wish everyone a Happy Holidays and a healthy New Year! The Federal Laws & IEP workshop conducted on December 5 was a huge success! Over the course of the year, CIDA hosts a series of workshops on various topics. As recognition of our hard working parents that attend our workshops, CIDA would like to give a certificate of completion to those who attend ten or more seminars during the year. We would also like to invite those individuals to come with us to community events to represent CIDA as a parent leader and share your experiences. Please check back for more updated on CIDA events. International Day of Persons with Disabilities (IDPD) at U.N.
December 3 is the annual observance of the International Day of Persons with Disabilities (IDPD), proclaimed by the United Nations General Assembly resolution in 1992. 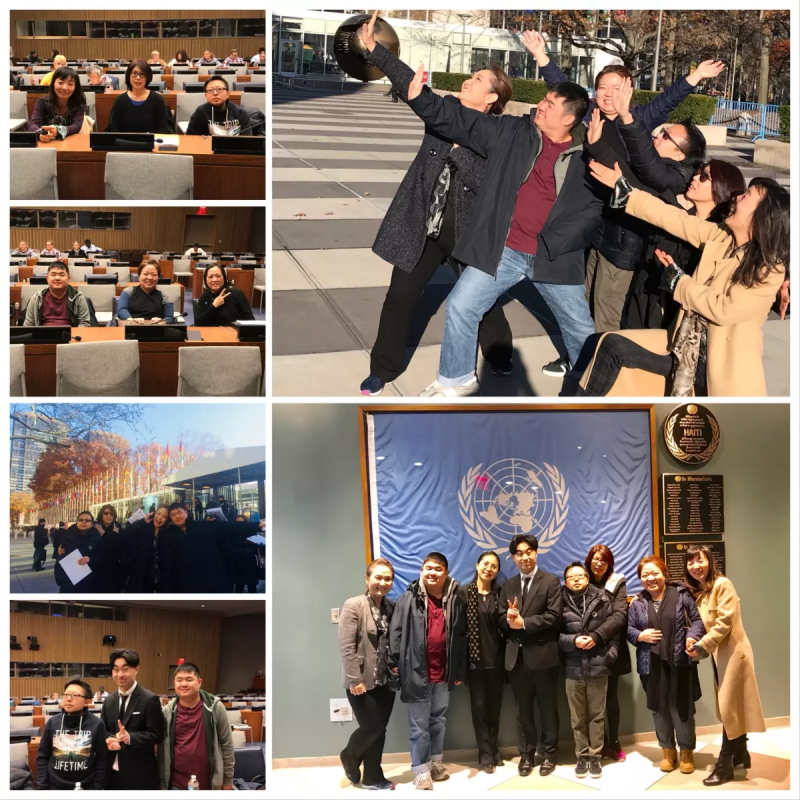 This year, the UN Department of Economic and Social Affairs (DESA) organized the 2017 IDPD celebration on December 1, 2017, at the UN Headquarters in NYC. Six CIDA staff members, a parent and two young individuals with disabilities participated all main events of the day. During the opening ceremony, H.E Miroslav Lajčák, President of the UN General Assembly delivered the U.N.’s commitments to empower individuals with disabilities. Ambassadors from many countries presented their current projects to support individuals with disabilities and their families. CIDA was also able to listen to the musical talent of young adults with disabilities from South Korea. Our members even were moved by the touching testimony given by Boum Jun Bae, a young adult with an intellectual disability. You can read more stories about Boum Jun and his family below. 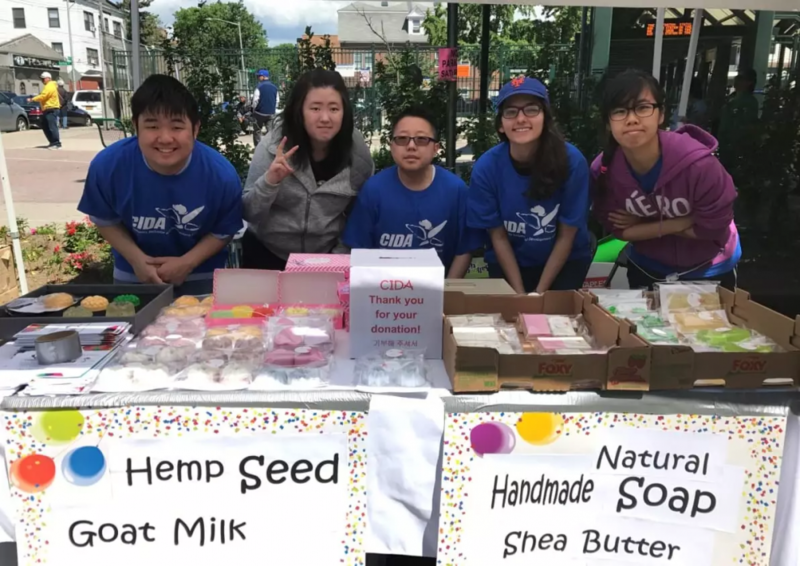 CIDA is starting a new employment project for young adults with disabilities, Korean-American Network for Employment & Community Training (KANECT) in January. The goal of KANECT is to develop effective community partnerships in which individuals with disabilities find employment opportunities and the needs of local employers are understood and met. This partnership will focus on skill training and shift the community culture. CIDA will announce the details of the program and community collaboration shortly. Winter is defiantly here! Here is a fun idea for something to do at home with your children! Color the glue (optional): Pour the glue into a medium bowl. Stir in the food coloring and glitter, if desired. 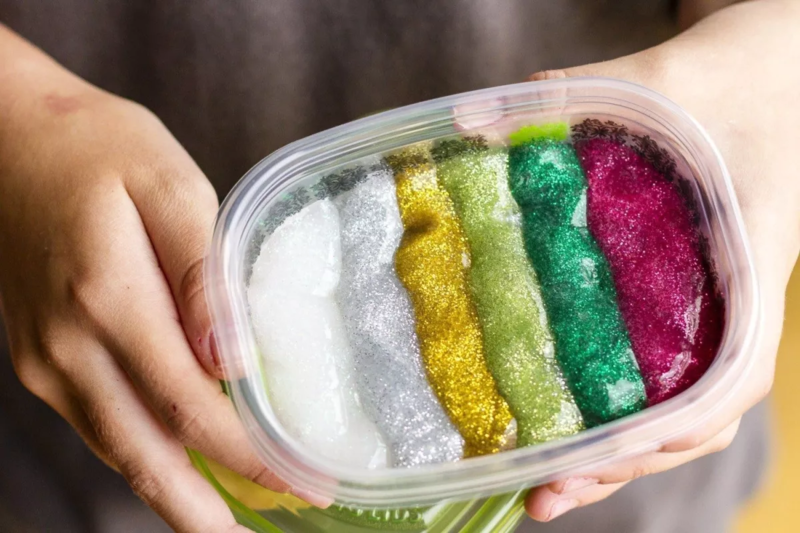 Use colors your child like and add glitter to make it sparkle.Remember the food coloring and glitter is optional! Add the baking soda: Add the baking soda to the glue mixture and stir until smooth. Add the contact lens solution: Pour in 2 tablespoons of the contact lens solution and stir slowly. The mixture should begin to harden, becoming stringy. Do not let it become too hard. 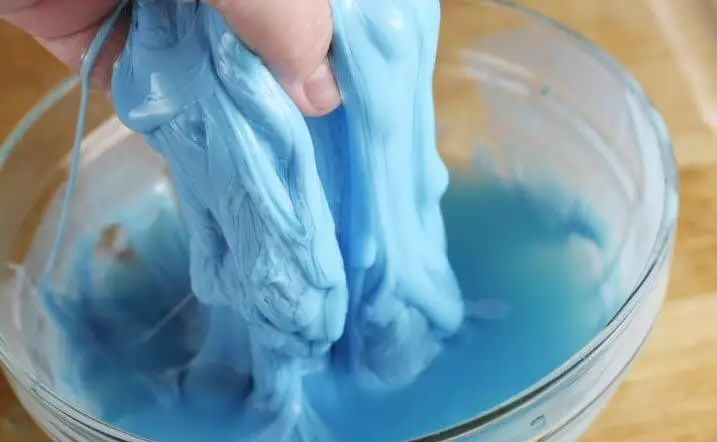 Mix until ball forms: Continue mixing slowly until a ball of slime forms. Knead by hand: Pick up the slime and work between your two hands, until smooth. If the slime is particularly slimy, add another 1/2 tablespoon of contact lens solution as needed. Time to play! Once mixed, you can play with the slime immediately or store for future play in an airtight container. Some extra ideas to add fun! Hidden Figures: Fold small figures or cars into the slime and ask your children to find them. Cut-and-Measure Slime: Provide your kids with a metal or plastic ruler and kid-safe scissors. See who can stretch their slime the furthest. 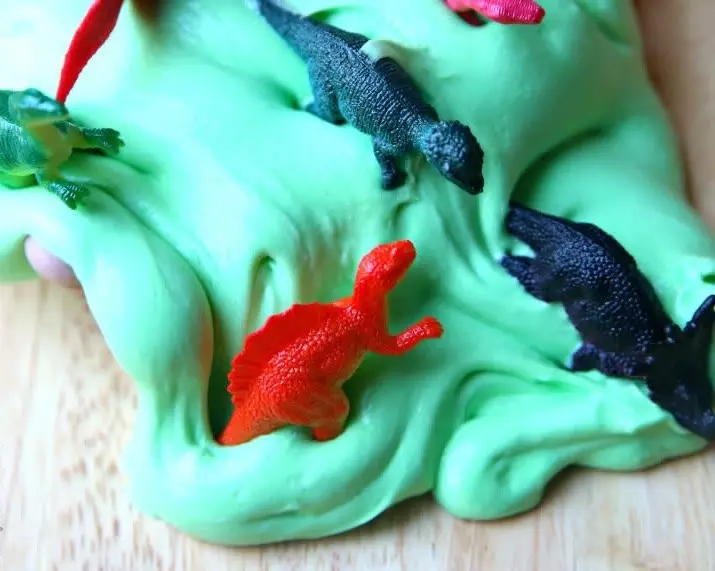 Alternatively, practice counting and cut the slime into 10-inch pieces.